Ganesh’s engagement with the art goes beyond the stage. She is involved in researching different dance forms of India, primarily Bharatanatyam and its origins in Sadir Natyam. 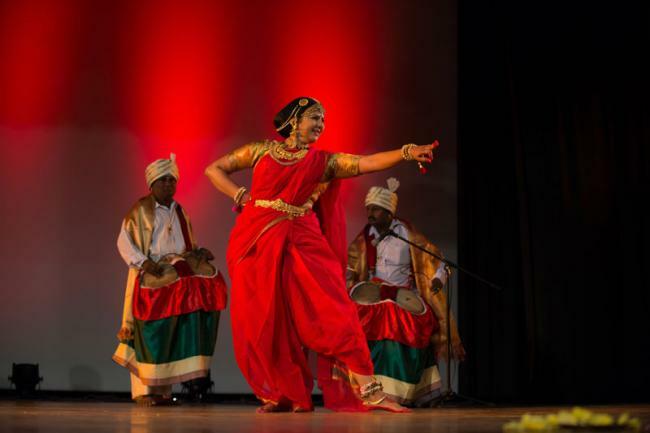 After her doctorate from the University of Madras in Chennai, she had the opportunity to be a part of the Fulbright Program at the University of California, Los Angeles, minoring in world arts, cultures and dance. In addition to dance, Ganesh has a diploma in acting for camera from San Jose State University, California. “This happened quite by chance,” she says. Her dance had brought her offers to act in television shows. Films followed soon after. Alaipayuthey, her first Tamil movie, with renowned director Mani Ratnam, made her a household name. “I was very young, and it was all rather exciting,” she says. It had opened up cinema as an area of interest. So, when she got the chance to study acting at the university in California, she was more than glad to accept it. Ganesh’s interests expanded to the connections between social change, political activism and the arts. At the University of California, her work focused on the inherently inclusive and secular nature of Bharatanatyam, one of the oldest dance forms of South India, and how it has re-globalised itself.